Osprey Marina is a freshwater marina ~ no waves, very little wind and there are very few mosquitoes and deer flies. Osprey Marina offers 128 wet slips, 102 dry slips and 33 outside racks. The marina may be able to provide transportation, otherwise taxi or car rental services are available. Wet Slips (up to 60'): $1.00 per foot for first 3 days. $0.26 per foot for 4 - 30 days. Wet Slips (up to 60'): $10.00 per foot per month. 20 foot minimum requirement. To make a reservation, please fill out our contact form. 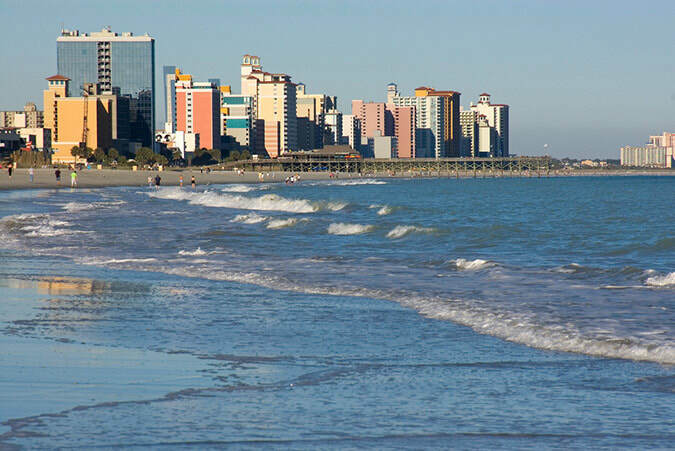 Myrtle Beach is home to beautiful beaches, outdoor attractions and offers a high quality of life in the South Carolina sunshine. Paddle along the Intracoastal Waterway, hike or bike various park trails or visit various attractions to name a few. Myrtle Beach offers an abundance of specialty shops, outdoor dining, weekly events and live music.